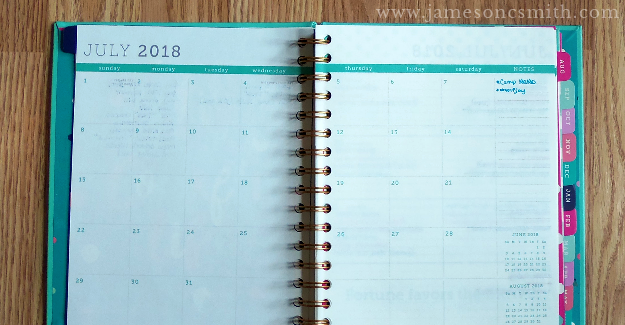 Earlier this month, I switched to a new planner and meant to do a blog post on what that process was like. And I forgot about it until about two weeks in. Oops. So while I was settling in for this week’s planner prep session, and still running low on blog post ideas, I thought: why not now? 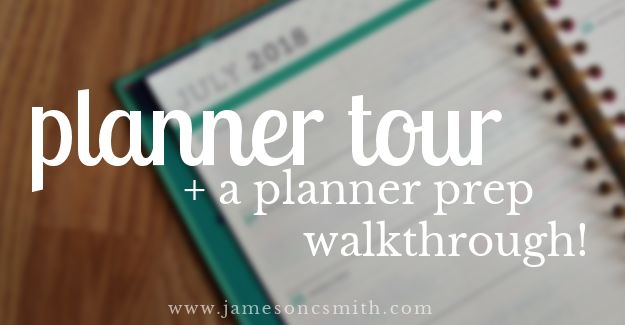 I usually start my planner process with some scrap paper so I can make a list of tasks to add to the planner pages. Each month has a full calendar at the beginning and an “at-a-glance” page. With my previous planner, I added this page to the notes section at the beginning of each month, so I really like having it already included in this one. The left side has spots for goals, important dates, and birthdays; the right side is a checkbox to-do list. 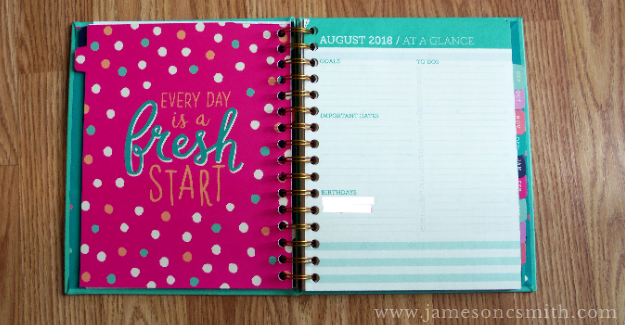 This is the same brand as my previous planner, but I went with a different style—I love the colorful dividers and how much space is allotted for each day. 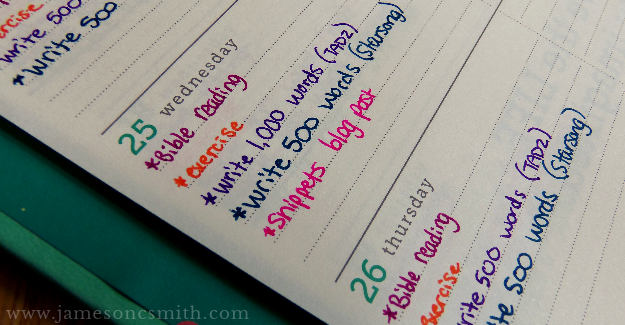 There’s plenty of room to write down daily tasks, along with any others that might be unique from one day to the next. I try to assign each goal or task type a different color, so any time I see a purple task, I know it involves TAD or TAD2, just like bright pink is for blogging/social media tasks. A few others I use often (not pictured) are light blue for events and appointments, light green for general tasks, and yellow for job-related things. 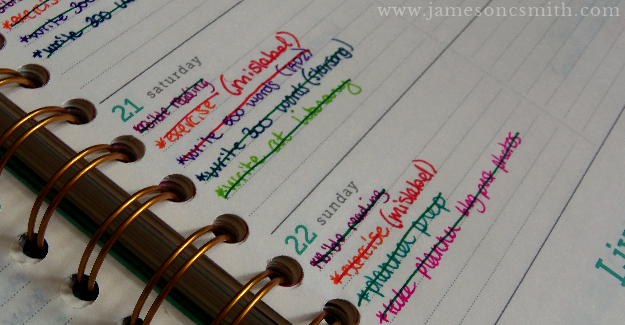 Completed tasks are marked with dark green, while incompleted or moved/mislabeled tasks are marked in red. I try to mark tasks as I complete them or at the end of each day, but sometimes I forget. Then I just mark them on Sundays during my next planner prep session. And that’s my planner prep process! 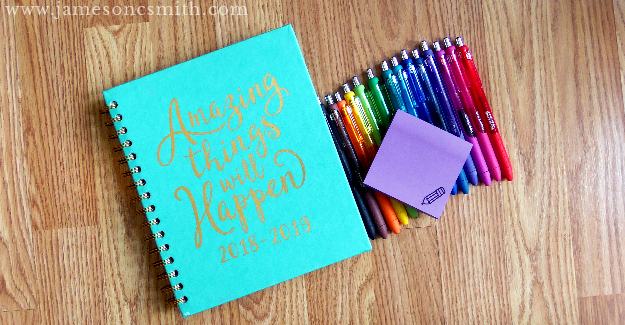 Do you keep a planner? Bullet journal? Have any organization/planning tips to share? Tell me about ’em in the comments! I. LOVE. THIS!!!! You are totally inspiring me to start doing something like this. I have a really hard time balancing everything I need to do each day. This may help! And I just love your whole system. Thank you for sharing! 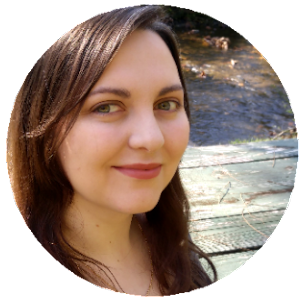 Ooh, bullet journals are so cool! I love all the creative layouts and possibilities but I'm not patient enough to keep one as a primary planner, hehe. The brand is Mintgreen (I found this style planner at Walmart).